Thank you JamHub for hooking us up with this amazing silent band rehersal studio. Mom loves it Most and the neighbors no longer complain about loud music!!! All the bells, whistles, licks and chops for musicians who won’t compromise on their gear. 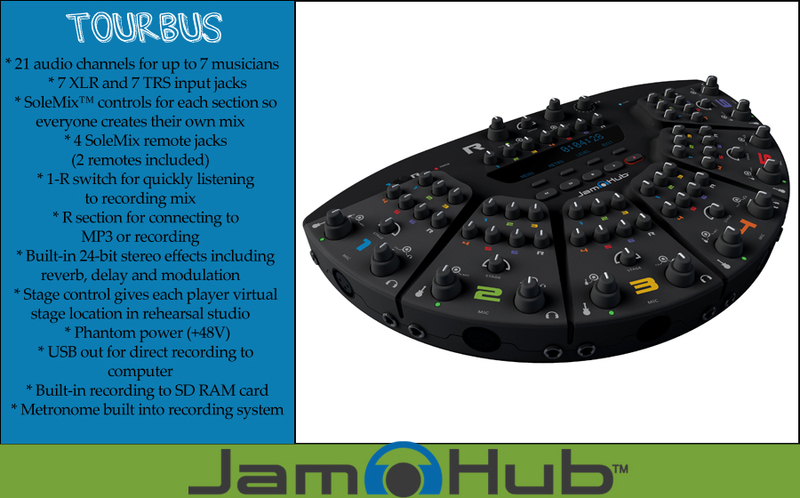 Whether you’re touring the world, the country or the town, a JamHub TourBus makes rehearsals a lot better and a lot more fun. The built-in recorder lets you capture those inspired moments and relive them at the show later that night.